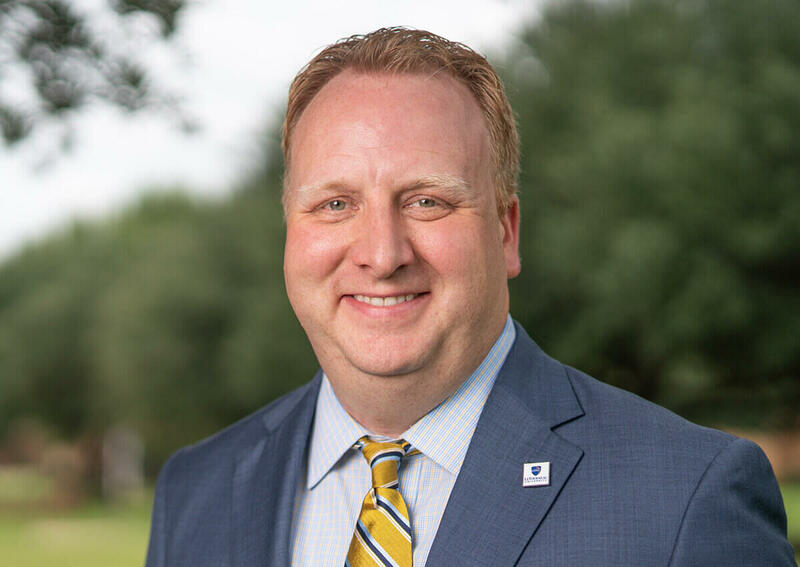 Donald K. Egle joined LeTourneau University in May of 2015. Before coming to LeTourneau University, Egle served in leadership positions at James Madison University and Liberty University. For Egle’s family, LeTourneau University has been a transformative place and is where his father earned his degree in welding engineering. During the past 20 years, Egle has professionally invested in multiple industries, including corporate, non-profit and higher education. His work has demonstrated success in organizational leadership, team design, communication influence models and brand leadership. He has worked with many global media organizations, including the New York Times, BBC, Associated Press, CNN, Newsweek, USA Today and Fox News. Egle is currently working on his Ph.D. in Organizational Leadership with an emphasis in entrepreneurship at Regent University’s School of Business and Leadership. His research and scholarly interests include organizational health, enterprise design, market-based innovation, and entrepreneurship. He earned his MBA and Bachelor of Science degree in Communications Studies from Liberty University and is an engaged member of the Public Relations Society of America, American Marketing Association and the International Association of Business Communicators. Egle is Accredited in Public Relations (APR) by the PRSA Universal Accreditation Board and an Accredited Business Communicator (ABC) through the International Association of Business Communicators. He and his wife, Brianne, have a son (Harrison) and a yellow lab (Hutch). They reside in Longview, Texas. Readers are welcome to connect with Egle using the contact information and social media channels listed above.